European visitors will be the main target of a new £1 million investment to bring more staying tourists to the Peak District. Official tourist board, Marketing Peak District & Derbyshire, has welcomed confirmation that it is to share in a substantial pot of money from the government-backed Discover England Fund – creating the new 300 miles long East of England Touring Route between London and Northumberland. New itineraries will be developed to bring together attractions, accommodation, activities and places to eat, to create a route that is culturally rich and quintessentially English. 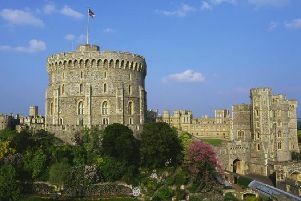 Germany has been chosen as the target market because touring is a familiar and well-loved holiday choice and the country has good travel connections with Eastern England. The emphasis will be on helping businesses operate in the international market and make them bookable by both independent travellers and tour operators and travel agents who are influential with German consumers. “This is great news,” said Jo Dilley, managing director of Marketing Peak District & Derbyshire. “Our marketing and PR strategy is geared towards encouraging staying visitors from both the UK and overseas to visit the Peak District and Derbyshire and bring more money into both the local and regional economy. The East of England Touring Route project is being led by destination management and marketing organisation NewcastleGateshead initiative, working with other destinations organisations and local councils along the route, including colleagues at Visit Lincoln and Visit Nottinghamshire in the East Midlands.